Everyone would like to think that their wine is fermented grapes and fermented grapes only, but I'm here to break it to you: that's almost never the case. Luckily, I'm also here to elucidate what might have been added to the wine you drink and most importantly, why. Which brings me to an ingredient that I am very passionate about. 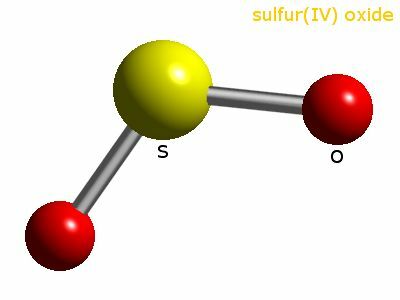 Sulfur. More specifically, sulfur in the form of sulfur dioxide. Good old SO2. SO2 is one of my favorite winemaking ingredients, because it serves a dual purpose in a wine solution. It is antioxidative, and it also inhibits the growth of microorganisms. As an antioxidant, it works to block oxidative reations-- that is, the sorts of reactions that make your wine start to smell and taste like spoiled fruit. As an antimicrobial, it helps prevent the growth of bacteria, molds, and yeasts that can grow in wine and turn it into vinegar, or otherwise spoil it. It's true that SO2 can be toxic when ingested in high doses-- the number isn't exactly set in stone, because doctors don't want to kill people to find out where that threshold is. They think it's somewhere around 190 milligrams per kilogram of weight (or about 86 milligrams per pound). An acceptable daily intake is considered to be about 48 milligrams per day for a 150 pound person. To put this in perspective somewhat, your body produces about 2,000 milligrams of sulfur dioxide just on its own every day, and that's also about how much you urinate out. How much SO2 we add to a wine depends on its pH (the concentration of hydrogen ions in solution), but as a general rule of thumb, we target about 35 milligrams per liter of wine. This works out to about 26 milligrams per bottle. So unless you're drinking a bottle of wine and more per day, you're probably not in a lot of danger of overdosing on SO2. And in all seriousness, please don't drink that much wine. Share some with a friend, or cork it up for the next day. And to add another layer of perspective on SO2, it's in quite a lot of food products. Dried apricots can contain nearly 2000 milligrams per kilogram, and they're the reason that dried apricots are still a vibrant orange color, rather than a dark brown-- that's an antioxidation example for you. It's in sugar, salad dressing, bottled fruit juices. Mostly things that you want to consume in moderation anyway. We add sulfur here in the form of potassium metabisulfite, or KMBS for short. In water, the potassium disassociates and you get an active form of sulfur. It's a powder, and we dissolve it in a small volume of hot water before mixing it into wine. Larger wineries might keep a tank of pressurized liquid SO2 on site, which can be released directly into wine in tank. For our purposes and size, KMBS makes the most sense for us. And we take into account the alcohol level and the pH of the wine to make sure that we're only ever adding the minimal amount necessary to be effective against microbes and oxidation. I hope this has shed a little light onto sulfur use in the winery. If you've heard about some other ingredient in wine that you'd like me to talk a bit about, please feel free to comment and let me know. I'm open and taking suggestions.